Maine Department of Marine Resources commissioner Patrick Keliher has sent a letter to NOAA's Northeast Fisheries Science Center, refuting a recent memo which suggests that the lobster industry may be playing a role in the decline of the North Atlantic Right Whale. 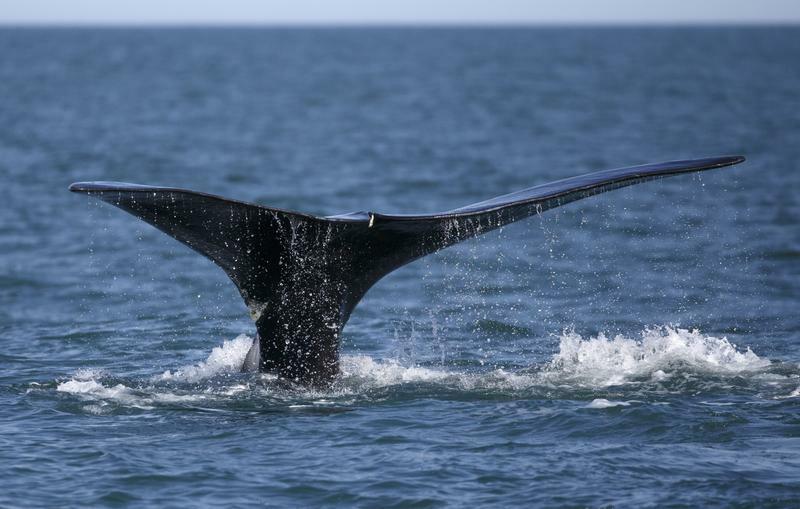 Members of the marine mammal rescue and research community are mourning the loss of a Canadian fisherman who died this week after freeing an entangled right whale off the coast of New Brunswick. Joe Howlett of Campobello Island, founded a Canadian whale rescue team and was considered an expert in whale rescue. Now officials at the U.S. National Oceanic and Atmospheric Administration are suspending whale disentanglements until it can complete a review its own emergency response protocols. 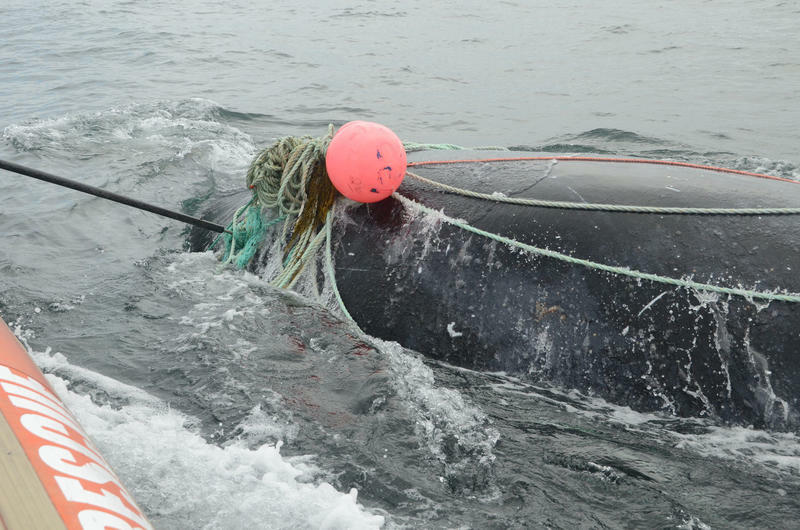 PORTLAND, Maine - Scientists say the ability of an endangered whale species to recover is jeopardized by increasing rates of entanglement in fishing gear and a resultant drop in birth rates. The population of North Atlantic right whales has slowly crept up from about 300 in 1992 to about 500 in 2010. But a study in the journal Frontiers in Marine Science says the number of baby right whales born every year has steeply declined since 2010. 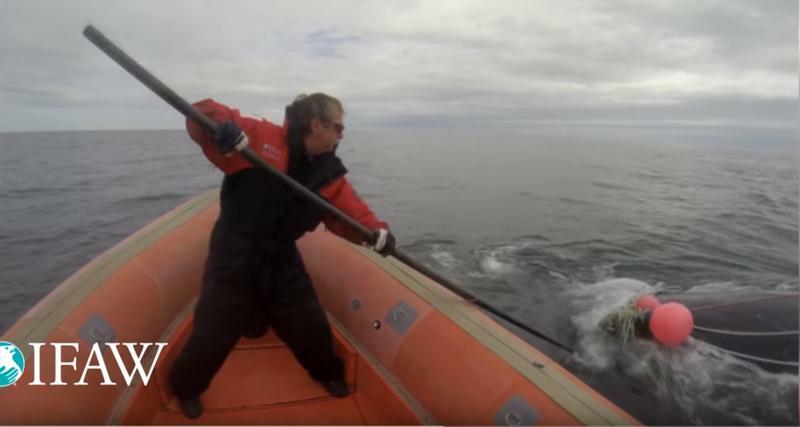 A team of scientists and fishermen rescued an endangered right whale off Campobello Island this weekend, freeing the animal from tangled fishing gear in a five-hour effort.